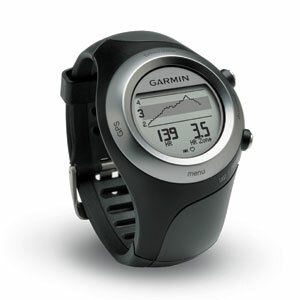 I’m a big fan of Garmin. I have been raving about it to everybody ever since. It’s a standard ANT+ sports watch which connects to a heart rate monitor and cadence/power meter on my bike, but also includes GPS built in. This site has a really clean and simple design, and is a great example of a site that fades nicely into the background putting the focus on your data. And, now that they have proper support for OS X, the integration is super slick – I simply put the watch in the same room as the computer at the end of a run or ride and the data is automatically sucked out and uploaded. I was on a long training ride a couple of weeks ago and noticed that the display on the watch was starting to fade in and out. By the time I got home it was so faint that you couldn’t really see the details anymore. As I write it’s less than 20 days until the Taupo Half Ironman, so (if you’ll excuse the pun) it couldn’t be worse timing. The next day, I took the watch into a local shop to get the battery replaced, only to be told that they couldn’t help me. So, I called the Garmin service department, and it turns out that the battery is not replaceable. I have to say, they did everything right. The lady I spoke to was very friendly and helpful. Even though the watch was outside of its warranty period, once they checked the serial number they offered me a replacement at a significant discount to the normal retail price which arrived by courier a couple of days after I returned the faulty one. But, I couldn’t help feeling like I was the sucker – somehow I’ve become locked in by an eco-system of accessories, online services and persuasive support staff. So, I guess I need to add Garmin to the list of companies that has earned the right to tax me as they see fit.